Family migration visas for Canada are designed for individuals who have family members living in Canada as citizens or permanent residents and are above 18 years of age. Individuals holding any of the following categories of family visa are eligible to study and work in Canada while their Permanent Residence application is being processed. Under this category of family visa, individuals who are citizens or permanent residents of Canada can sponsor their partners, spouses or dependent children to migrate to Canada and settle there. Such visa holders are allowed to work and study in Canada. Now you can bring your partner to Canada easily by getting a partner visa. 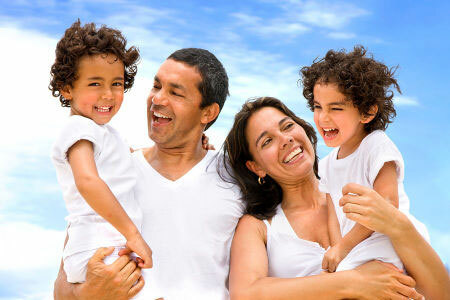 Relatives Visa allows Canadian citizens or permanent residents who want their relatives to join them in Canada. Such individuals can sponsor their relatives to apply for Canadian Immigration under the Family Class and agree to support the applicant financially when they he/ she arrives in Canada. The applicant needs to ensure that he/ she meets the health and character requirements and should not have any prior criminal record. Provide written proof agreeing to cover the relative’s expenses upon their arrival for upto 10 years depending on their age and relationship with you. How can AINiT help you get your Family Migration Visa for Canada? Our experts are licensed in providing professional assistance and advice related to all your immigration issues. We have already assisted many of our clients from Australia and other Countries with Canadian immigration under Family migration category.